Located on the fringe of the Melbourne CBD, 75 Dorcas Street is an A Grade office building currently leased by ANZ and BMW. 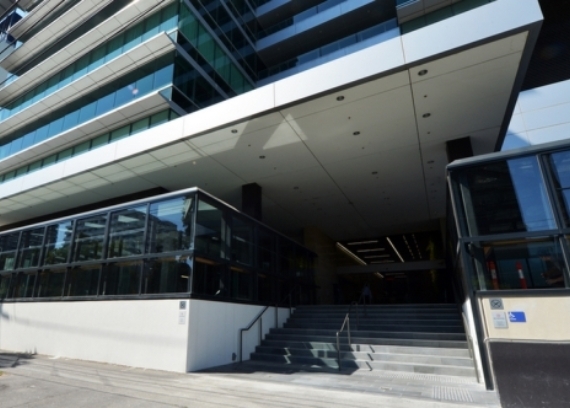 The project involved the refurbishment of the existing building including the main entry and foyer, office Levels 9 and 10 and amenities and lobby areas throughout all levels of the building. 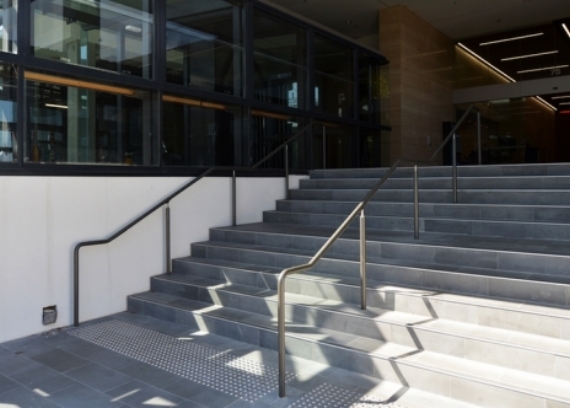 Separable Portion 1 involved the refurbishment of the existing building including the main entry and foyer and end of trip facilities. Works were carried out within an operational environment including demolition and reinstatement of the main ground floor lift lobby with a minimum of 6 of the available 8 lifts kept accessible. Works also included woodform ceilings between plaster margin with linear slot diffusers and linear lights and a feature Fyto Green wall with irrigation system and lighting. Bluestone floor tiles and new concierge desk with bluestone face and edges completed the main entry works. 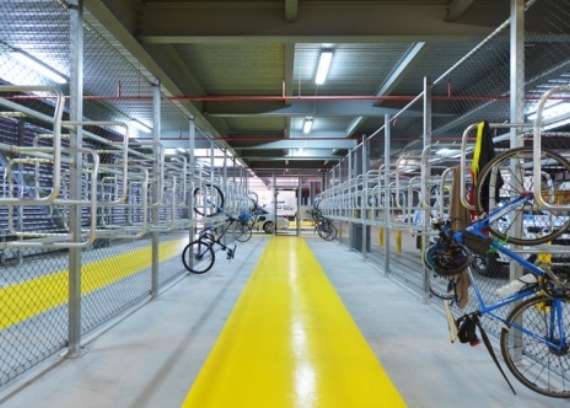 End of trip facilities also comprised Separable Portion 1 which included toilet & change facilities and both secure bike store and separate bike racks. All sewer connection points were coordinated and installed in the café ceiling below with works programmed around the café’s opening hours. 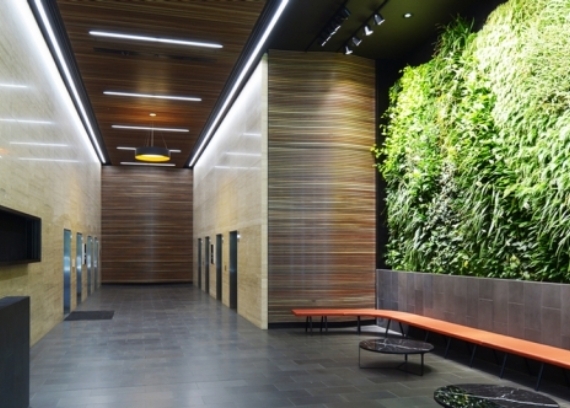 Kane delivered the project with Area3 Project Managers, Metier3 Architects and Slattery Australia. The works were staged to minimise disruption and were completed in the fourth quarter of 2015.